Chateau style, fully renovated to the highest standard with 3 bedroom main house and guesthouse, all built around an interior courtyard, garage, pool, 4660 m² cosy gardens with stunning views towards the Pyrenees. Very well suited as a high class gites and B&B venture. 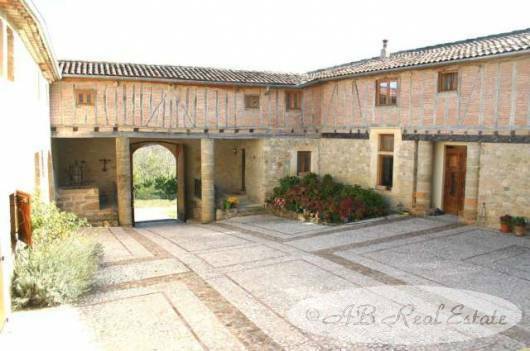 A characteristic impressive stronghold, very well renovated. Ideal as a family home and to receive guests or as a private home with next door office - one could change the guest house first floor into nice offices - or a thriving, high class gites and-or B&B enterprise. Hard to find such a beauty.